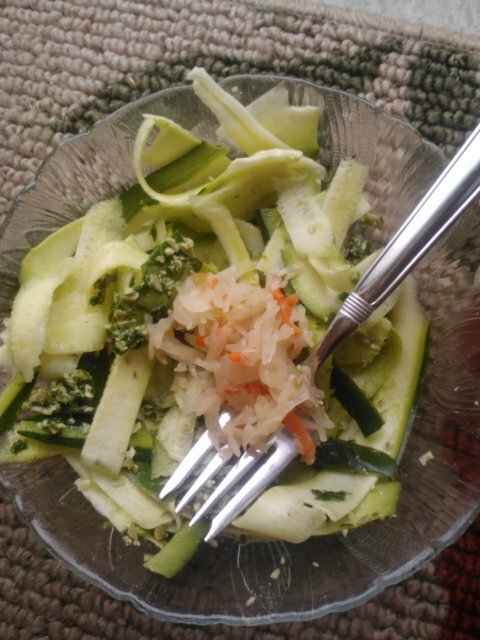 My “fully raw February” challenge is almost over…but I’m not done with the raw vegan lifestyle by any means! In my introductory post I said I was planning on going raw til dinnertime, but that actually turned into eating raw all day, every day since February 3 (besides a cooked dinner on Valentine’s Day) and I’ve been loving the results. I feel so light and refreshed after my meals, without any desire for cooked foods or added oil, sugar or salt (aside from a little pink sea salt added into my guacamole and kraut). This is something I want to keep up as long as possible and though I may be experimenting in the next month with high raw dinners (cooked beans with raw veggies), I feel great eating mostly raw and it’s something I’ve found I enjoy more than I thought I would! Breakfast: This is always my most simple meal. Plenty of chia puddings, flax pancakes and I do want to try fruit+buckwheat rawnola someday if I can get out of my breakfast rut. Lunch: I’m planning on zucchini noodles with raw marinara sauce or pumpkin seed pesto, salads and possibly lettuce wraps, with some fruit on the side. Dinner: This is where I like to get creative and actually meal plan. I’ve got raw falafel/hummus/cauliflower tabbouleh on the lineup one night based on these recipes, pumpkin seed & garlic zucchini pasta and maybe a kelp noodle thing if I get to the store to restock them. I also will probably have more jicama chili fries since I have some leftover. Snacks: Same as usual–snack plates with veggies, fruit and a fat source; protein banana softserve for dessert; chia pudding if I didn’t have it for breakfast. 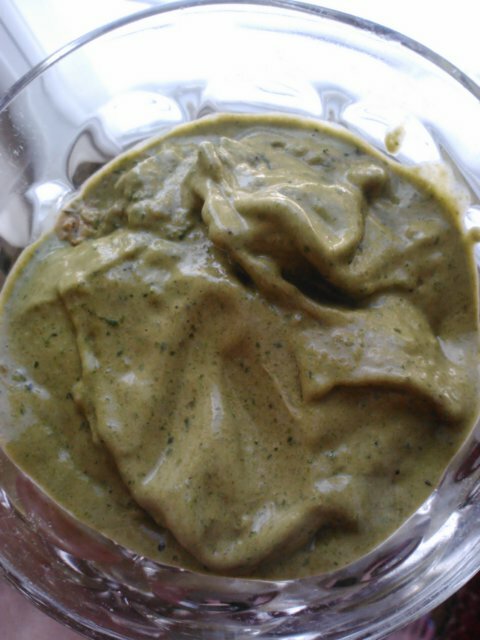 Lean, green banana softserve packed with raw protein powder and spinach. 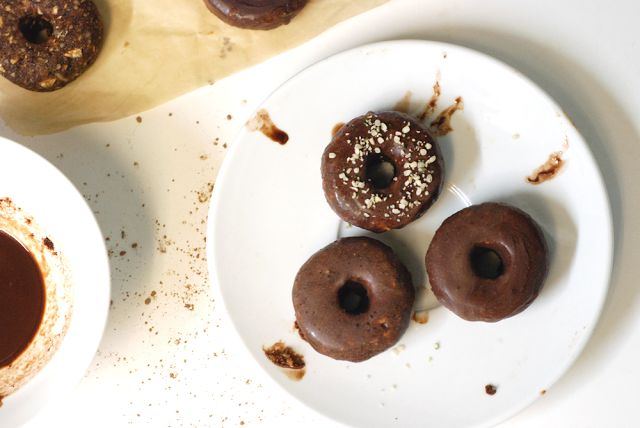 Other than the dinner recipes linked above, I’m planning on making these raw cacao donuts, a raw take on pink lemonade, spicy hot zucchini chips from Going Raw, sweet potato ‘fries’ in the dehydrator and probably more raw brownie bites. I had the best batch of them last week, but I forgot exactly what I put in them, so I’ll have to try again! These look almost too good to be raw! I’m including some things my dad picked up for me at Sprouts; otherwise, the rest was from Whole Foods and as usual, the produce will last for part or all of the week while other stuff may last through next week or longer. 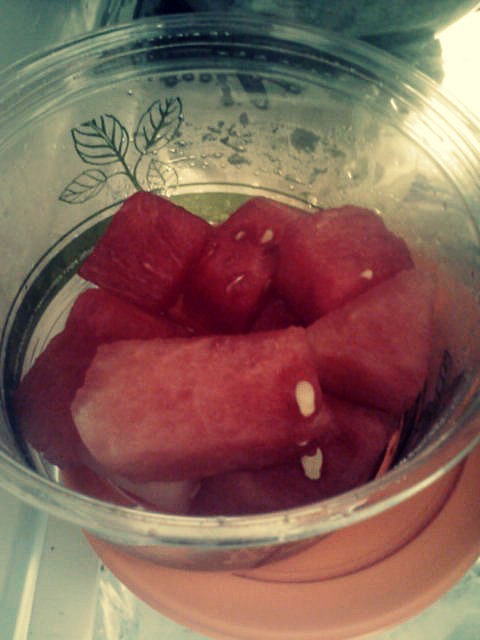 A little early for watermelon, but still tasty. As usual, lotsa produce and bulk bin seeds and nuts. My Whole Foods trip cost me about $70, which is a great deal for tons of fresh fruits and veggies. My biggest tip for keeping grocery costs low is shop from the bulk bins. I always get my nuts, seeds and dried fruit from there because I get only what I need and it saves a ton over buying them prepackaged. And I can always try a little bit of something new without worrying about wasting my money! Have you ever tried papaya? What’s your best tip for saving money at the store?